Why Lori De Pucci and Harry Norman Realtors? 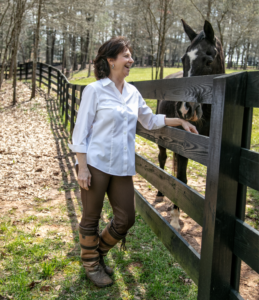 My connections in the equestrian world come from years of owning and competing horses. Caring for these beautiful animals requires specific property needs. Local zoning ordinances also play an important role, especially with the population growth our area is experiencing. From professional training facilities to hobby farms, I understand the selling features of these farms and market to a targeted audience.